Into the peaceful and affluent household of the Coventry family comes a nineteen-year old governess to oversee the education of the sixteen-year old daughter Bella. Jean Muir is a poor, pale, black-cloaked little Jane Eyre without friend or family. She ingratiates herself into the family by her gentle manner, her kindness, her gift for entertaining and performing with music and story, and through her humble servitude. Although there are some hints that all may not be exactly as it seems, it is not until she retires to the privacy of her own room that we see the full extent of her deception. Still sitting on the floor she unbound and removed the long abundant braids from her head, wiped the pink from her face, took out several pearly teeth, and slipping off her dress appeared herself indeed, a haggard, worn, and moody woman of thirty at least. The metamorphosis was wonderful, but the disguise was more in the expression she assumed than in any art of costume or false adornment. Now she was alone, and her mobile features settled into their natural expression, weary, hard, bitter. She had been lovely once, happy, innocent, and tender; but nothing of all this remained to the gloomy woman who leaned there brooding over some wrong, or loss, or disappointment which had darkened all her life. For an hour she sat so, sometimes playing absently with the scanty locks that hung about her face, sometimes lifting the glass to her lips as if the fiery draught warmed her cold blood; and once she half uncovered her breast to eye with a terrible glance the scar of a newly healed wound. 1. The comparisons with Charlotte Bronte's creation are striking, and go far beyond the protagonists themselves. Jean Muir is adept at playing the part of Jane Eyre, for she is a consummate actress with an eye on the prize... Mr. Rochester! While Jane Eyre ("air") is ethereal and spiritual, Jean Muir ("moor") is earthy and practical in her worldliness. Jean Muir has both feet firmly planted in the here and now, and unlike Jane Eyre who strives only to do the right thing without thought of personal gain, Jean Muir is the living embodiment of ruthless ambition. 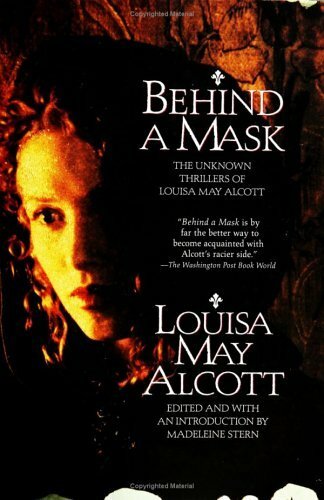 Louisa May Alcott, as the author, never judges Jean Muir's actions and the conclusion of the story lends support to the argument that her actions were justified because society offered so few solutions to women to live independently. The choices available to Jean Muir were marriage, servitude and poverty, or death. She uses all her powers, and embraces her inner "Madwoman in the Attic," clothes her in the appearance of an "Angel in the House" and serves tea with humility and grace, soothes the agitation of each family member, entertains and knows her place as governess while at the same time scheming a diabolical plan to capture status and wealth using only her quick wit and cunning. As the madwoman, she goes after what she wants with a single-minded passion. She is a witch who casts her spell on all the men she encounters. The full text of the novella can be found at the University of Virginia's site here. 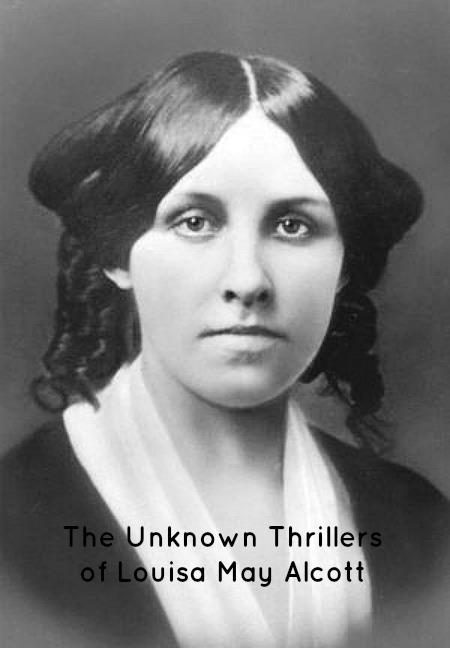 A full guide to Louisa May Alcott research can be found here. 1. I remember my father singing a little ditty when I was a girl - a parody of an old song called "After the Ball" in which Katie (here, Jenny) is déshabillé in the same manner as the protagonist of the story. Jenny took out her glass eye. Corked up her bottle of dye. Hung her false hair on the wall. This is the original version of the song "After the Ball," sung by the writer, Charles K. Harris, here.